Record Name Blackburn Beck. 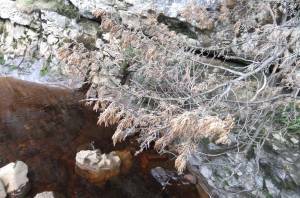 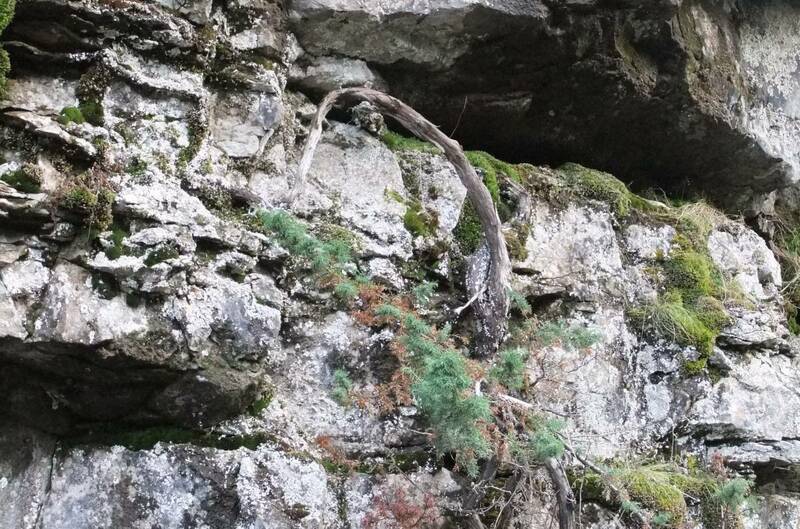 Isolated Juniper in ravine. 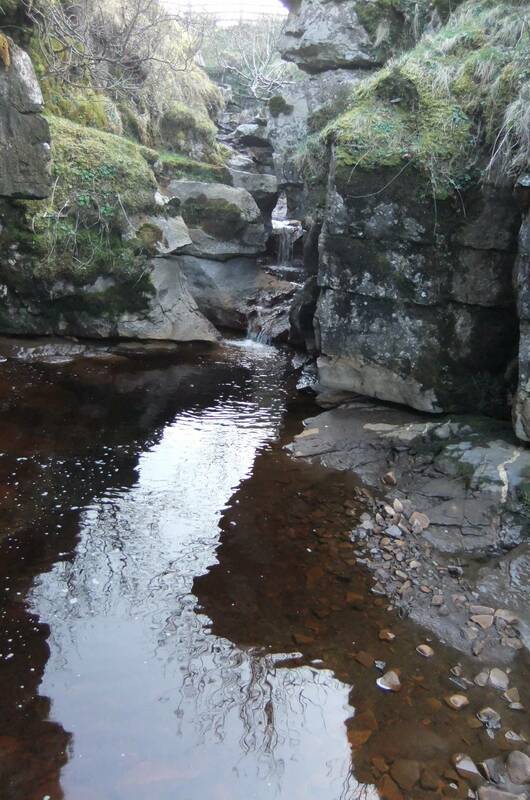 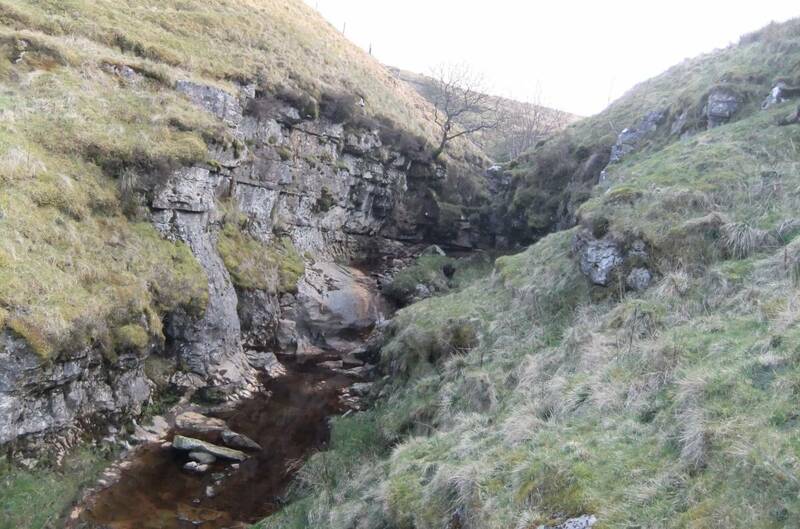 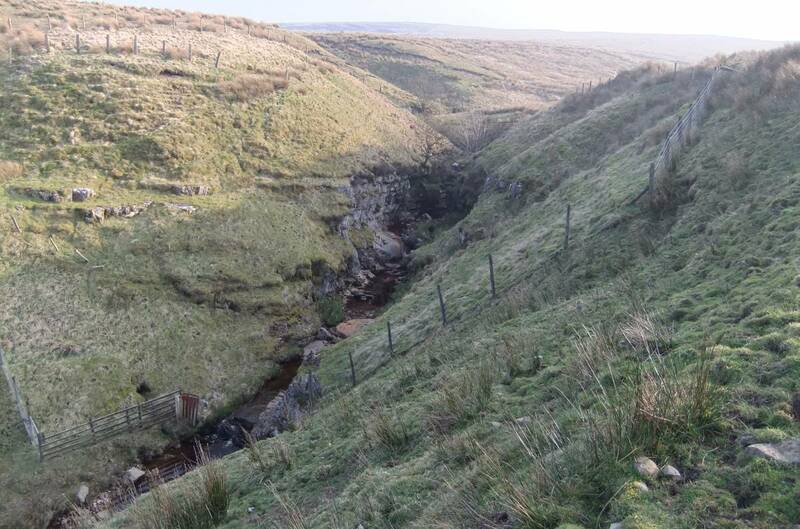 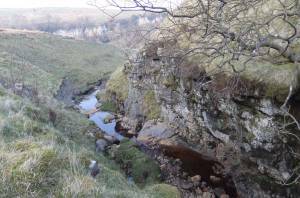 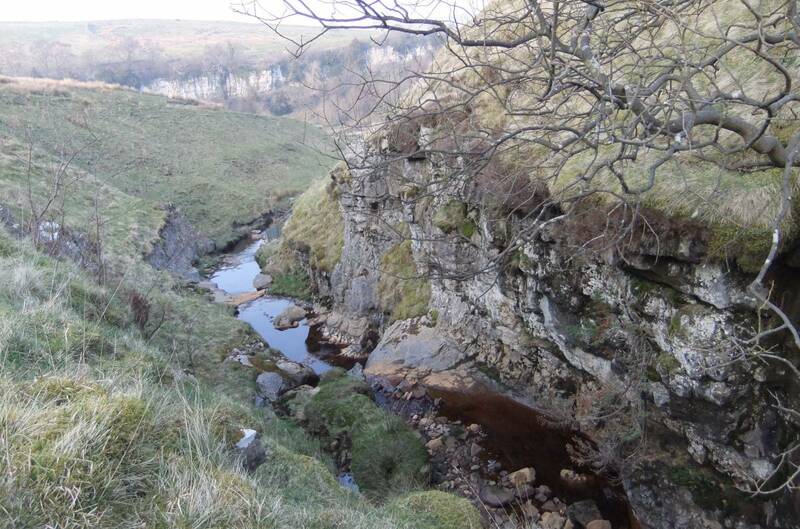 Record Description Very small limestone ravine with attractive falls within the enclosed pastures at lower end of Blackburn Beck, with isolated juniper. This juniper shows extreme distress (browned foliage) and is barely alive. 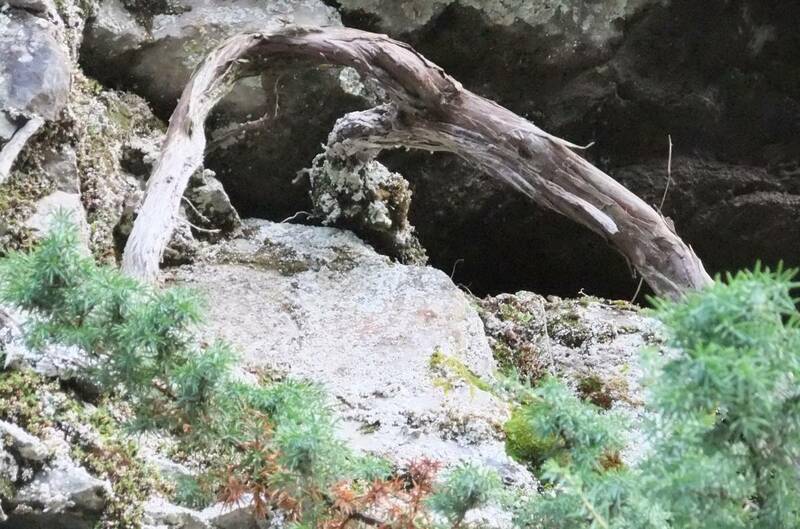 It is inaccessible and the cause of the demise of this old juniper is uncertain. The only other trees present are rowan, rosespp, sallows and other willow spp. 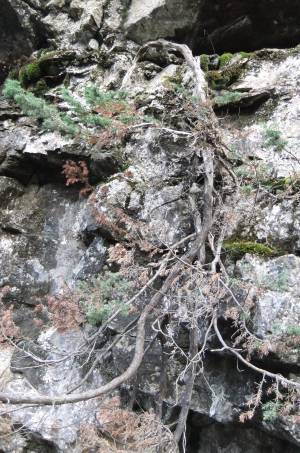 Additional Notes The juniper has a very long and thin trunk suspended down from the cliff above the stream. 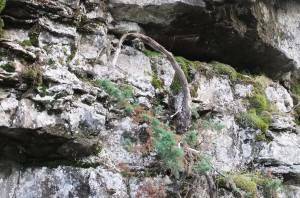 The general appearance of this juniper is consistent with considerable age.